It has been a while since I was last on my blog grind, but I have been busy with finals and visiting everybody on break. Luckily for you guys I’m back! Game one tips off in about an hour, and it features the Boston Celtics and the Brooklyn Nets. This will be the first Christmas game for the Nets since moving to Brooklyn. These teams have already played twice, and the Nets have won both times. The Nets were hot to begin the season, but they have dropped three out of their last eleven games, bringing them to a mediocre 14-12 record. The Celtics have not been much better, but Paul Pierce has been lighting it up from the field as of late. Result: Brooklyn has gotten the better of Boston so far this season, but I believe the Celtics pull out the win, 95-87. The next game takes place on the other side of the country, as the Knicks travel to Los Angeles to take on the Lakers. As much as I try to wipe their last game from my memory, I just can’t; the Knicks only won the game by nine, but ‘Melo lit up the Lakers for 22 first quarter points en route to a 41 point first quarter for New York. They extended their lead into the twenties, but Anthony rolled his ankle and did not return. Despite that, the Knicks still tamed the Laker offense and pulled out a win in possibly the most embarrassing game that I have seen Los Angeles play since the 2008 Finals. The Lakers are on a four game winning streak though, and they do have Steve Nash back in the lineup. Result: This one is going to come down to the wire in my opinion, but I think that the Lakers will get revenge on their home court. Lakers take this one, 104-102. The biggest match-up of the day jumps back over to the East Coast, as the defending-champion Miami Heat host the defending Western Conference champion Oklahoma City Thunder in an NBA Finals rematch. Both teams are playing at a high level once again, especially OKC, who recently came off of a twelve-game winning streak. This match-up is going to be the most unpredictable, as I could see either team blowing the other one out, or I could see this game being a tightly contested battle. I think that LeBron is really going to try and make a statement today to show everybody that he is still the the best player in the league. Result: I think that LeBron will go off for 40, but it will not be what they need. OKC takes it 110-101. In my opinion, Houston against Chicago is probably the most boring match-up of the day. Derrick Rose is still out, which takes all of the excitement from the Chicago side, but Houston does give us a couple of things to look forward to. First of all, James Harden has been a beast ever since leaving Oklahoma City, averaging almost 26 points a game this season. Also, Jeremy Lin is always fun to watch, and he is quietly having a solid season although it is not as impressive as his “Linsanity” campaign. Result: Both teams are doing well, but I think Harden will be too much for the Bulls to handle. Houston wins 98-89 on the road. The last match-up of the day will feature the Denver Nuggets and the white-hot Los Angeles Clippers. For the first time, the Clippers are undoubtedly the best team in the city, and they are also legitimate title contenders. Chris Paul and Blake Griffin are probably the most fun pair of teammates to watch in the league. The Nuggets have also picked up the pace as of late, so they definitely are not a team to sleep on. They do not have all of the flashiness that they once had, but they still will be playoff contenders. Result: UPSET SPECIAL. I like the Nuggets to end the Clippers’ streak tonight 119-113. That’s all that I have for today, so I hope that everybody enjoys their Christmas and that they do not eat too much! If any of you people are like me, sports practically consume your daily life. You play them all of the time; if you are not playing you are watching, and if you are not watching, you are reading about them. Then there are days like this. 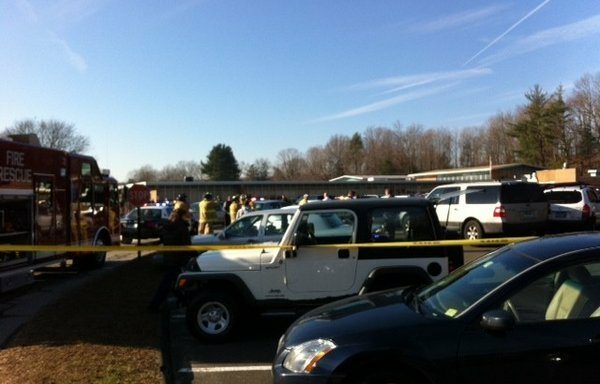 Today, in Newtown Connecticut, 27 lives were taken and one person was injured by a 24 year old resident of New Jersey. Eighteen children, eight adults, and his own mother were among those killed. I just do not understand how somebody can commit such a heinous crime. At this time, practically no information about the gunman’s background has been released. What has been released is that 24 year old Ryan Lanza entered Sandy Hook Elementary school early this morning with three weapons, intending to kill his mother and many others. No matter the issue, there is no excuse. People like this are the reason why so many people are afraid of the world. How does a man drive from New Jersey all the way to Connecticut, knowing that he is about to go murder innocent children? He’s killing people that are too young to even understand what is truly happening to them. What makes this even crazier is that this is the second shooting to take place this week alone. Just three days ago, a man opened fire in an Oregon mall, killing two and then killing himself. Just when we are able to grasp what happened on the other side of the country, a shooting about fifteen times more deadly takes place this morning. These are not the only two shootings to take place this year. There have also been public shootings on two other occasions this year. To put this into perspective; there have been shootings in a movie theater, a Sikh temple, a shopping mall, and an elementary school. As Americans, is there truly any place where we can feel safe? The sad reality is that we really cannot. Shootings are not only taking place in certain areas of the United States; they are taking place on the East Coast, the West Coast, the Midwest, and in the Rocky Mountains. Over the past five years, every major region of the United States has had at least one shooting that has taken multiple lives. The issue that needs to be addressed is the issue of protection. We have addressed the issue of national security in airports after the 9/11 attacks, but airport security is clearly not the only area that needs to be tightened. With the ways of today’s world, I firmly believe that either a security system needs to be put in to place at every public building, or the Second Amendment needs to be repealed. Most people do not use guns with any ill intentions, but too many lives are lost due to those who do have these intentions. Gun culture has begun to show its ugly side in America, especially since the Columbine shootings in 1999. There are still numerous questions that need to be answered about both what happened today and what needs to happen in the future, but it will take much time to figure out what will come of all this. Times like these make you realize just how lucky you are to have what you have. So when you see your family, give them a hug and tell them that you love them. As sad as this is, its true; you really never know if you will be able to say it again. For now, my thoughts and prayers go out to the families of all those affected. After noticing an outpouring of teams recently taking advantage of the “Hack-A-Shaq” tactic on new Lakers center Dwight Howard, NBA commissioner David Stern is looking to flex his authoritative muscles again and abolish the strategy. In his assertion, Stern claimed that this strategy was ‘ludicrous’. My question for the commish is simply, why? I am an avid fan of the Lakers and have been for some time now. I am also a big Dwight Howard fan and watching him shoot free throws practically makes my eyes bleed. But when a team decides that they want to use their fouls to put a poor free throw shooter at the line, then why can’t they? Deciding to foul Howard repeatedly is not unfair to the big man because teams and players are not allowed to foul an infinite amount of times. Teams are only allowed to foul the other team four times in one quarter before the victim of the foul gets to shoot free throws. So for every foul that is wasted, that gives an opportunity to another Lakers’ player to get fouled at some point and go to the line. Like any other competitive sport, game plans stem from strategy. What this tactic is is truly genius. Why let a dominant seven-footer control the paint when you can make him take his worst shot? Anybody in their right mind would put Dwight on the line. He is shooting under 60 percent in his career, and under 48 percent this season; he shows no signs of ever being able to make the shot. If the blame falls on anybody, it is Howard. Stern needs to realize that he needs to let the league breathe a little. Less than two weeks ago, Stern fined the San Antonio Spurs organization $250,000 after Gregg Popovich chose to let Tim Duncan, Tony Parker, Manu Ginobili and Danny Green miss their game against the Miami Heat. Stern did this because the fans missed out on seeing four great players play in their only game in Miami, forgetting that these players are human and do indeed need rest. The commissioner is set to step down on February 1st, 2014; that is hardly over a year away. Stern needs to take a step back and not put his two cents into everything that happens until then. Basketball is a beautiful game, and fouling a player will not take anything away from it. If Howard was really that bothered, then he would take initiative and work on his free throws. He said himself that he did not plan on changing anything, so why should the league? Is Andrew Luck the best rookie quarterback ever? After a fairly crazy NFL week thirteen, I decided to take a look at what the new power rankings looked like on ESPN. Some teams shuffled around in a couple of places in the top ten, but one team has steadily improved and has crept into the ninth position; the Indianapolis Colts. I like to read the notes that coincide with the ranking, but I found this blurb to be startling; to paraphrase the note, it said, ‘Andrew Luck may be the greatest rookie quarterback in NFL history.’ This threw me off. It is crazy for an assumption like that to be made, especially when Robert Griffin is putting up ridiculous numbers. Andrew Luck is having a phenomenal rookie season, but he is not the best rookie quarterback ever; in fact, he is not even the best rookie quarterback this season. To Luck’s credit, he has had an outstanding rookie campaign. In his first season in the NFL, he is currently ranked fourth among quarterbacks in both passing yards (3,596) and passing yards per game (300). If these numbers stay true, then he will shatter the record for most passing yards in a season by a rookie, which was set by Cam Newton last season. It may be a reach, but there is a slight chance that Luck could eclipse the 5,000 yard mark. If he does do this, he would become just the sixth quarterback in history to reach 5,000 yards. The other fact that we have learned about Luck in his first season is that he wins games. In football, numbers are important, but at the end of the day, winning is most important. Last season, the Colts were a dismal 2-14, which was the worst record in the league. Luck, the number one overall pick in the 2012 NFL Draft, has quadrupled the team’s win total from last season with four games left to play. Right now, Indianapolis controls their own destiny; they are 8-4 currently and hold the fifth seed in the AFC playoff race. There is no doubt that this turnaround is due to Andrew Luck. With all that he has done well this season, he also has some areas that need work. Luck already has seventeen touchdown tosses this year, but he also has sixteen interceptions; this ties him with Drew Brees for the most interceptions thrown this year. Also, out of quarterbacks with 200+ passing attempts, he ranks second to last in completion percentage. He is great. He does have a lot of areas for improvement though. Robert Griffin has put himself among the league’s best quarterbacks in just twelve games. Don’t agree? The numbers do. This season, he currently ranks third in the NFL in quarterback rating, just .6 points behind the leader, Aaron Rodgers. If he sustains his rating, he will have the highest rookie quarterback rating in NFL history. Luck fails in accuracy and turnovers, but this is where Griffin is at his best; he is currently tied for the least amount of interceptions in the league with just four. Also, he ranks sixth in the league in completion percentage. Efficiency like this has never been seen from a rookie quarterback. He also is just as much of a threat with his feet as he is with his arm. It only took him twelve games to beat Cam Newton’s rookie rushing record of 706 yards. If his pace increases slightly, he could reach the 1,000-yard mark, which has only been done once in history (Michael Vick ran for 1,039). He also ran for a 76-yard touchdown earlier this season, which was the longest run in the NFL since 1996. His record may not match that of Andrew Luck, but RGIII is still keeping his team alive. After beating the defending-champion Giants on Monday night, he pulled his team within one game of New York in the NFC East with a 6-6 record. With their remaining strength of schedule ranking in the twenties, there is no reason not to believe that Griffin cannot continue his magical season and carry his team to the playoffs. Andrew Luck deserves a lot of respect; he is putting up some of the best rookie numbers that the league has ever seen. He just got into the league at a bad time. Robert Griffin is taking the league by storm and shows no signs of slowing down. To make a long story short; Andrew Luck is not the best rookie quarterback ever. Robert Griffin III is the best rookie quarterback ever.